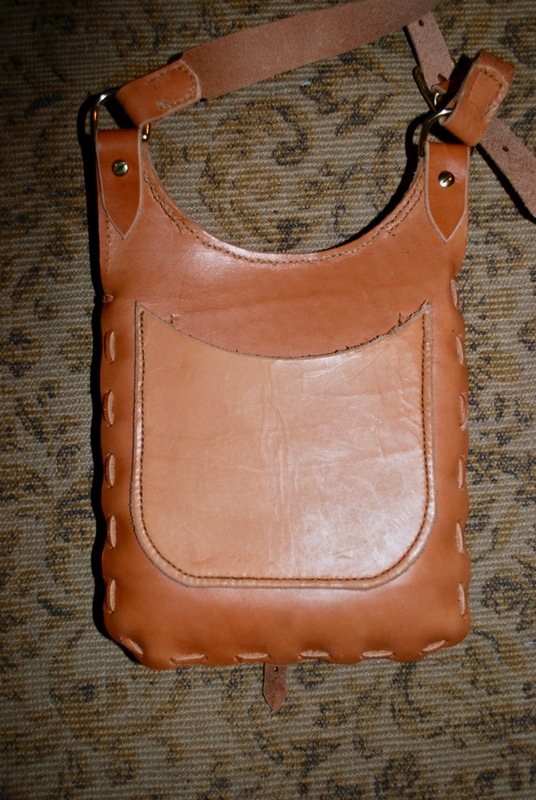 Several years ago, I made a shoulder bag that I still often carry today. It is the perfect size for a small field bag or hunting pouch. It was a lot fun looking at various designs, mostly from the 18th century to try and come up with something that would fit my needs. My bag, several years and many miles later. When I first joined Boy Scouts at about age eleven, I envisioned myself as a mountain man-explorer who was going to learn to live off the land. The first merit badge book I bought with my little money was Wilderness Survival and it spoke of the possibles bag that early explorers carried that kept everything they needed to live off the land and cover every emergency. At least, that’s how I remember it. Later, as a an actual wilderness explorer, traveler, and archaeologist, I learned to appreciate the “kit” bag on a more realistic level, and how this bag transforms for different purposes and places one travels. It is the unsealed* survival kit to be used and replenished as needed based on the situation. My current favorites, though too big for general daily wear, are the Mountainsmith Approach pack and my Filson Medium Field Bag. I can live out of either almost indefinitely and both make handsome weekender bags. 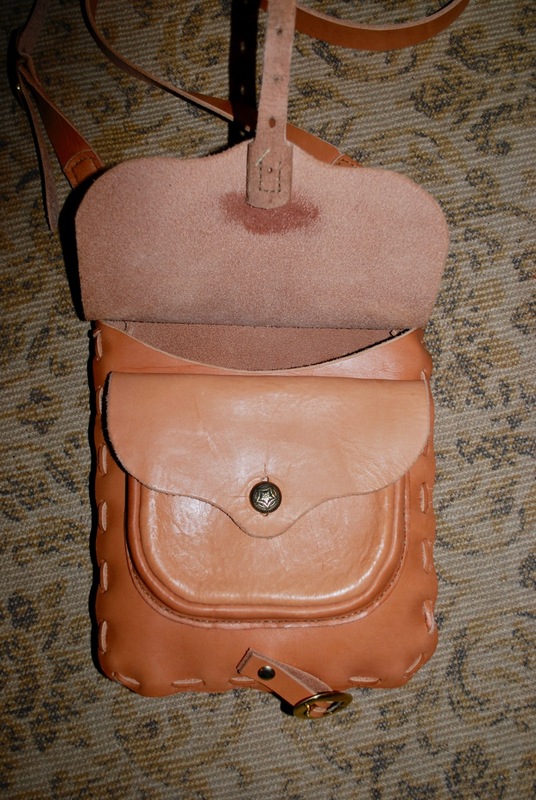 After much deliberation and review of mostly 18th century gear I decided I wanted a small outside pocket, a small inside pocket, a larger, closable outside pocket for important things like a compass, and main compartment large enough to hold a notebook and daily essentials. I decided to make the main flap in a stitched-down style so that it would keep things in, even if it wasn’t buckled shut. In the end, I went with a fairly standard English-American shooting bag style as seen above. It works well for me and after using it for several years now, I don’t believe I would change anything about it. 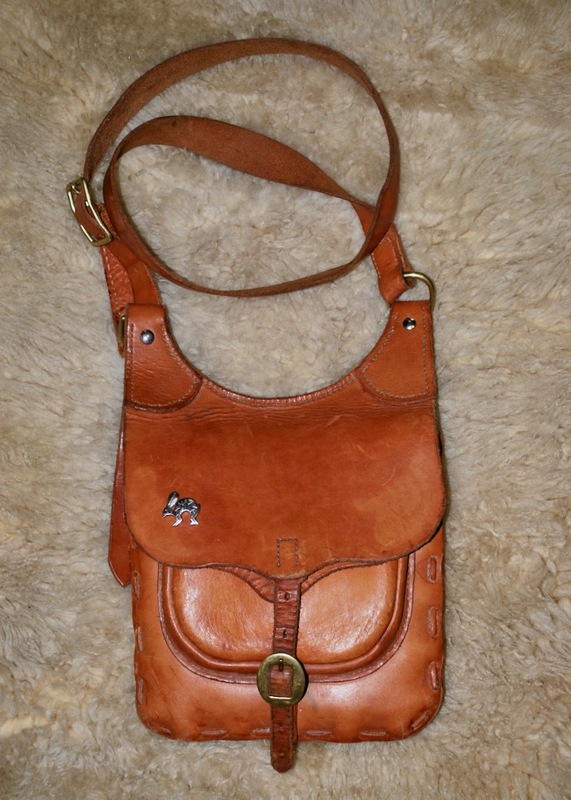 Large external pocket with button. 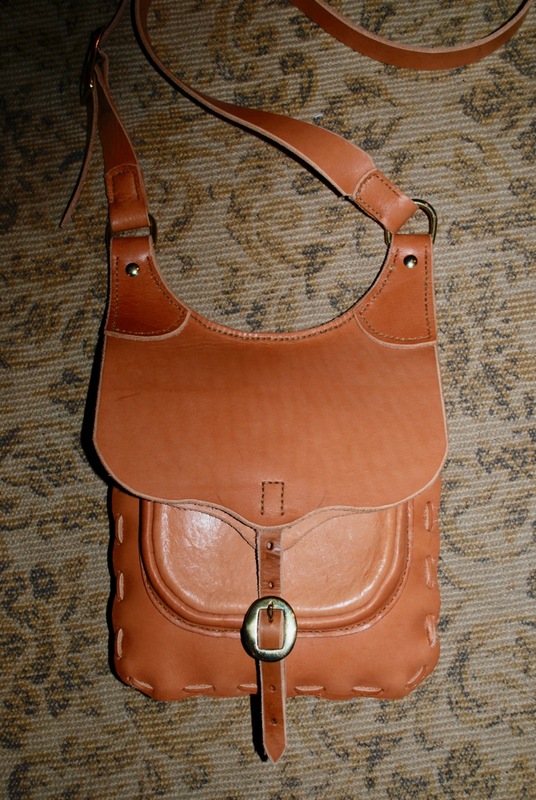 Dimensions: the body of the bag is 9 x 10″ with a gusset exposed at 1″. Reinforced ears, riveted for strength. 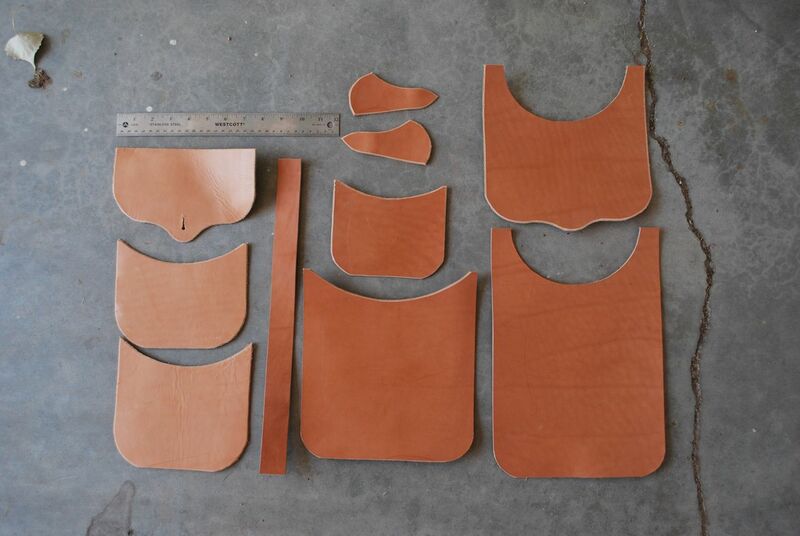 All stitching is two needle saddle stitch, except the body, which is laced. 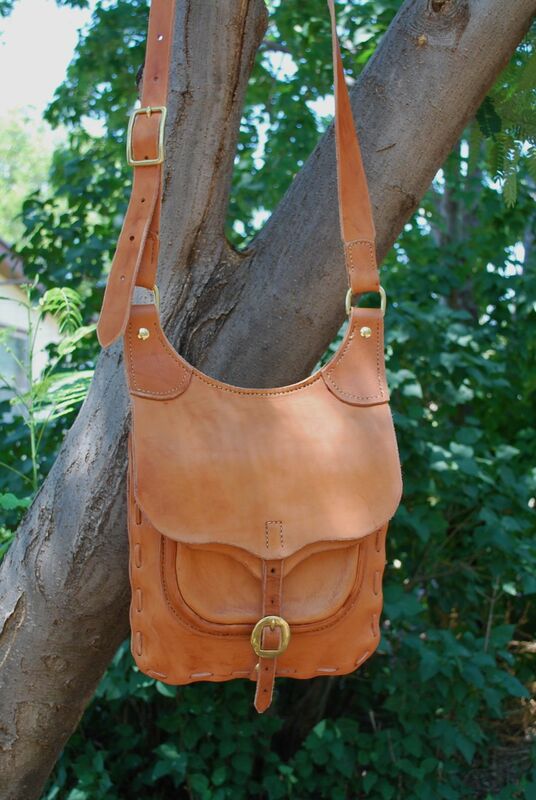 Three pockets, and a 1 1/4″ shoulder strap, adjustable by about 12″. All the parts of the body except the main gusset. When laying out a complex sewing project like this, you need to decide in what order to begin the assembly. The back wall of the bag has an internal and external pocket that were sewn down first (beginning with the smaller one inside). 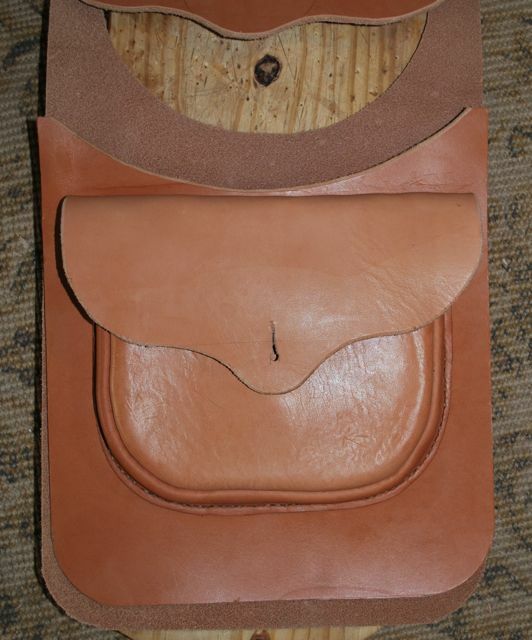 The outer pocket has a gusset that was sewn inside-out before being sewn down to the front wall of the bag. You’ll probably notice that the edges of the flaps are raw but if I were using thinner leather I would bind them with a soft buckskin or something similar. The raw edges were smoothed and burnished to create a nicer look than just a sharp cut edge. Finished! It’s hard to gauge work time but since that is generally the first thing anyone asks I will estimate about eight hours of stitching and assembly for this project. There is one inside patch pocket, an outside rear pocket, and a gusseted pocket under the flap. Eleven pieces plus the strap (four pieces). 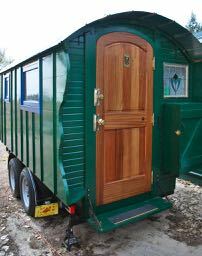 Hardware includes a one inch bridle buckle, a 5/8″ buckle, and two solid one inch “D” rings. 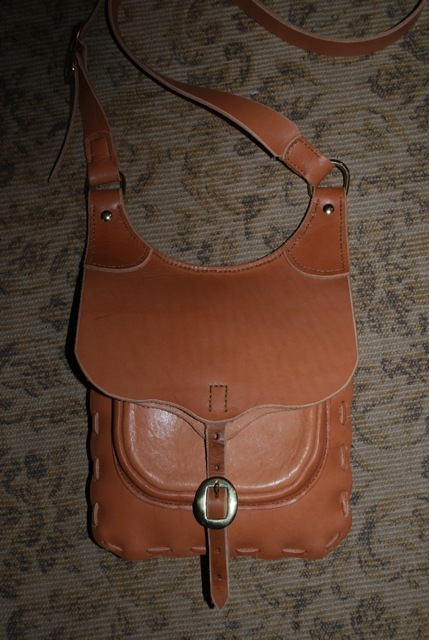 The back-side with simple pocket. I have less hare than I used to, mostly greying. Nice! Doesn’t look handmade at all.